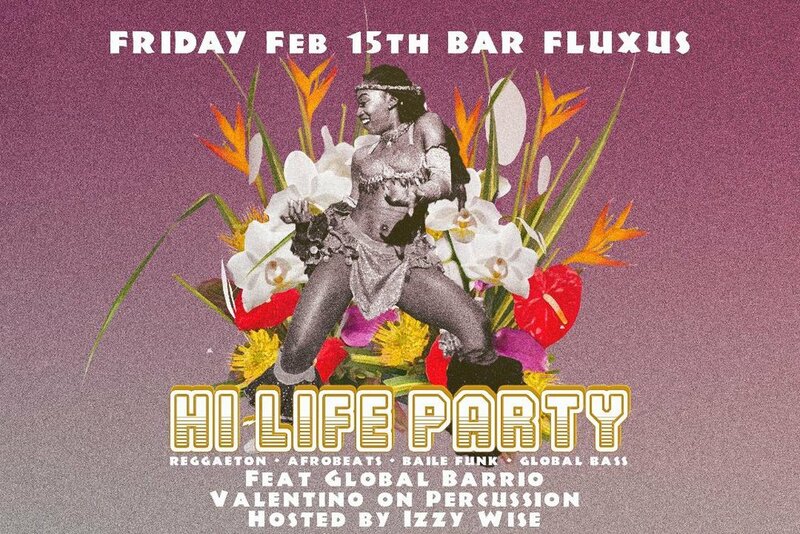 Hi Life Party meets Global Barrio for February's edition of Hi Life Party! Let's bring that love vibe!! Global Barrio is a diverse art collective based in Oakland. The concept is based on an objective of the diversification of electronic music through blending the passion for traditional and indigenous rhythms from all around the world with different electronic styles. Although part of a new wave of global artists who are reconnecting the folkloric rhythms of their cultures by mixing them with new technology and ways of producing music, Global Barrio artists manage to bring their own signature style to the stage.